Lighting is one of the most impactful and cost-effective enhancements. It can help set the mood, give an extra feel of importance and highlight your company or brand. 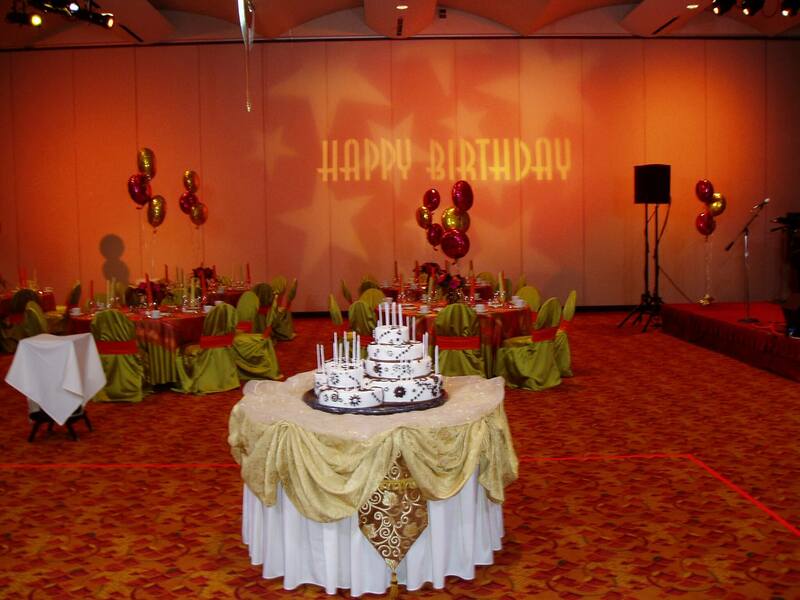 Monona Terrace offers event planners several options including color washes on walls, column uplights, accent lights to highlight unique architectural details, pin spots on centerpieces of formal dinners and programmable lights. Another type of lighting popular at meetings, conventions and other events is GOBO lighting, a customized light-projected image made from a design that is die cut into steel or glass. The design is typically used to brand an event, add a theme or display a corporate logo. GOBOs or any other lighting techniques are simple ways to add a layer of ambience that is sure to impress. Let your event type guide your room selection. An appropriately sized room with the right ambience can make your attendees more comfortable and at ease. Take into consideration the purpose of your meeting and the types of activities that will take place. For example, if your event is a presentation with a video and screen, a room with many large windows and no curtains or shades will not be appropriate. And, a grand ballroom may not be necessary for an informal internal meeting. In addition, table and chair arrangement can help to better cultivate the meeting goal you have in mind. At Monona Terrace, we’ll talk through your event goals and help identify the purpose of the meeting. Meetings and conferences can make for a long day. Schedule breaks throughout the event to allow attendees time to move around, stretch and help maintain high energy. Embellish your breaks with a fun snack. Instead of just coffee, water and tea include options for lattes or cappuccinos as well as fresh fruit, yogurt and granola and Danishes. For an afternoon meeting, jazz up your offerings with some veggie and fruit kebabs, high-quality cookies and beverages. Incorporating some of these details can help make attendees more comfortable and leave a lasting impression. Work with your venue’s event planning personnel to determine the types of extra special details most appropriate for your event. 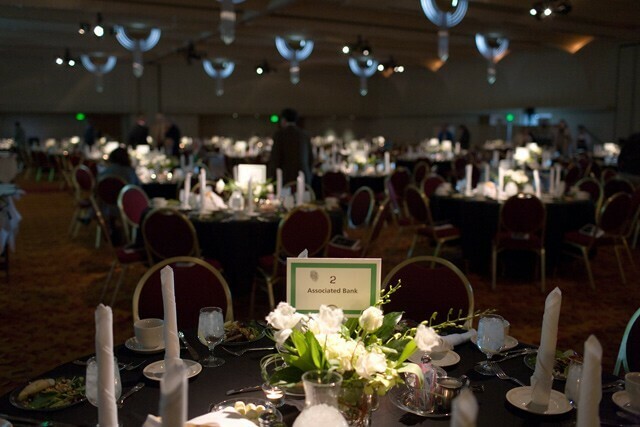 Learn more about hosting a memorable event at Monona Terrace by calling Laura MacIsaac, CMP at 608-261-4016.